Keys To Travel | Keith J. Kreps Foundation, Inc.
Keys to Travel, Keith J. Kreps Foundation, Inc. is a non-profit organization that gives scholarships to business and nursing students at the UW-Madison wishing to study abroad. Keys to Travel had its first official fundraising event this past August downtown Madison at Period Garden Park. Keys to Travel co-founders, Keith J Kreps and Wendy Kreps, donated money to the city of Madison to have water put in the fountain, something the park has not had since the installation of the fountain in 2008. 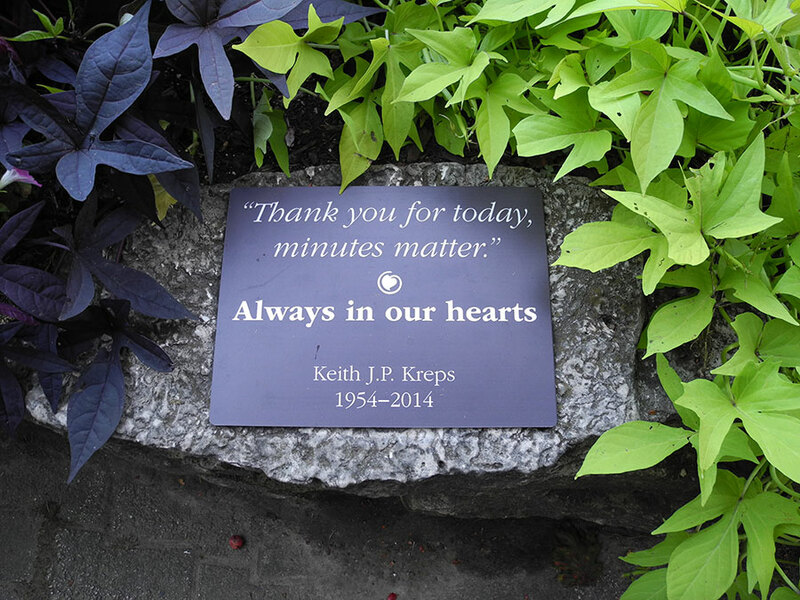 We had a very successful fundraiser while commemorating the fountain in Keith’s memory. The park has become a special place to the Kreps family, so to celebrate Keith’s birthday and the upcoming holiday season a small Christmas tree was placed in the park full of animal friendly ornaments! Recently tragedy struck our Study Abroad Community with the tragic loss of a bright and talented UW Madison student, Beau Solomon. Although we were not blessed to have known Beau, our hearts were broken as we got word of his death. We knew immediately the pain and anguish his family was feeling as they heard the terrible news of his passing. Study abroad is supposed to be joyous and fun. Although it was not originally the intent of our foundation to help after the fact, we knew that we needed to donate to Beau’s family to help with travel expenses or whatever they needed at this terrible time. Please hold his family in your hearts as we do. Keys to Travel, a Keith J. Kreps Foundation, Inc. is a non-profit organization that gives scholarships to business and nursing students at the UW-Madison wishing to study abroad.